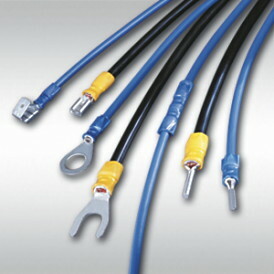 As a leading manufacturer of electromechanical components for this sector, STOCKO offers – alongside its catalogue containing items like receptacle and flat-blade crimp contacts – a wide range of connector systems in IDC designed in accordance with the RAST 2.5 und RAST 5 standard specifications for domestic appliances. The range is now being extended with optimised terminating technology: from hand-held pliers to semi-automatic units, right up to fully-automatic modular versions, designed for the cost-effective production of wiring looms in any desired quantity or configuration. Our products are used in both the power and control circuits of household appliances. Our company therefore operates in a market characterised by high pressure to innovate, exacting quality requirements on the part of customers and a frequent demand for custom design solutions. Our expertise, readiness to innovate and motivational approach leave us well-equipped to tackle the constant challenges that we face in all areas of development, production, distribution and customer service. A programme of constant employee training, state-of-the-art production processes, optimised logistics and a long-term approach to investment all help to guarantee us a growing share of the market.